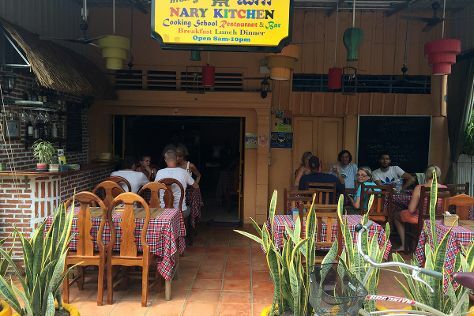 Kick off your visit on the 28th (Fri): steep yourself in history at Wat Banan Temple and then learn the tricks of the trade with Nary Kitchen. For reviews, maps, traveler tips, and tourist information, use the Battambang online tour itinerary planner . Siem Reap to Battambang is an approximately 3-hour car ride. You can also take a bus. Cap off your sightseeing on the 28th (Fri) early enough to go by car back home.